If you have a Winehouse shaped hole in your life and are getting frustrated waiting for the follow up to Back In Black, then worry no more, because good old Mitch - Amy's father - is here to alleviate your pain. According to The Guardian, Mitch is planning on recording an album mainly consisting of Frank Sinatra covers. Rest assured, though, there will also apparently be several songs written by Mitch himself. A source told The Sun,meanwhile, : "Mitch has been working on it for a while now. 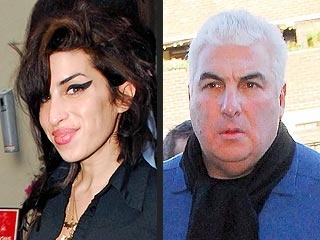 Amy always credits her dad with getting her into singing. He loves music . He has a good voice and wants a go at turning professional."